DICMA underway activities are chosen in order to reflect areas of prime strategic importance for innovation in a local and in a broader national or international context. Over time DICMA has become increasingly involved in general initiatives and projects aimed at promoting innovation and technology transfer. The considerable resources allocated by the University Faculty in this sector determined a strategic involvement of DICMA in the EU programmes and networks, as well as in a variety of initiatives taking place at national level. The activity of the department is mainly based on the detection of innovation requests coming from single enterprises or groups of enterprises. All activities aim at encouraging national economic development and increasing enterprises’ and research centers’ competition in an international context. In performing these activities, DICMA takes part in various regional, national and international working groups where programmes and policies are defined. DICMA deals with materials characterisation and analysis and industrial plant design and control. DICMA has a large experience in the materials characterization, handling and processing, adopting both traditional and innovative experimental tools. DICMA has acted as coordinator and RTD partner in different Regional, National and European Projects. 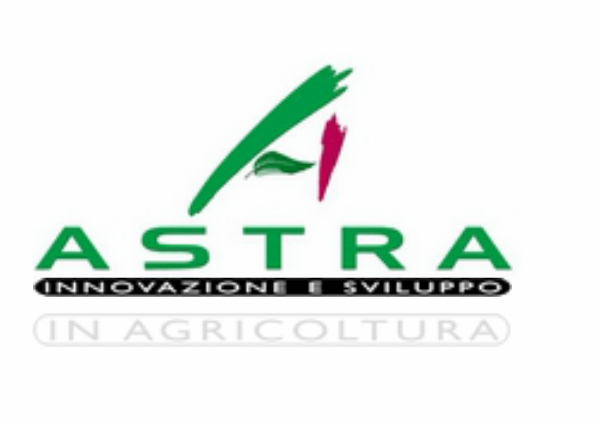 ASTRA is society that, by 1989, promotes the development of scientific research and experimentation in the field of biotechnology (particularly enzymes) for application in the field of agriculture, zootechny, recovery of biomass and waste and for the remediation of polluted sites. Since May 2007, ASTRA has been enlisted in Italian National List of Research Enterprises (Anagrafe nazionale delle ricerche). ASTRA aims to contribute to the promotion and development of scientific research and experimentation in the field of biotechnology to promote their application to agriculture, zootechny, remediation of polluted sites and recovery of biomass and waste. Starting from a holistic view of nature, ASTRA embraces the philosophy of sustainable development: the technological and social progress together with the maintenance of the Earth’s chemical-physical and biological equilibrium. In full compliance with the directions given by European and National environmental legislation, ASTRA studies the application of enzyme preparations to organic wastes for agricultural purposes and polluted soils recover. ASTRA promotes the conservation of agriculture and forestry, developing natural products, using sustainable techniques, the cooperative response to the current needs of saving water and the fight against desertification and soil depauperation. The Spanish National Research Council (CSIC) is the largest public institution dedicated to research in Spain and the third largest in Europe, belonging to the Spanish Ministry of Science and Innovation through the Secretary of State for Research. CEBAS (Centro de Edafología y Biología Aplicada del Segura) is a CSIC´s institute located in Murcia (South East Spain), 50 Km from Mediterranean coast, under semiarid climatic conditions. Created in 1958, with the aim of promoting research in the fields of Agriculture Science, Natural Resource and Environmental Science. Actually, the CEBAS is arranged in five department: Nutrition and plant physiology / Plant breeding and phatology / Food science and technology / Soils and Water Conservation and Organic Refuse Management. and humic fractions, as well as in the search of new sources of organic matter, which could replace the traditional organic amendments (peat, and manure) more and more scarce, their characterization, treatment, and their recycling in soil for both, agricultural purposes, and degraded soil rehabilitation. In the last 12 years it has carried out studies dealing with the use of microbial and biochemical marker in studies of soil quality, soil degradation and rehabilitation, in both natural and agricultural systems. The scientific production of the group from its beginnings has been qualitatively and quantitatively important (the principal investigator has published more than 130 SCI articles and several books and book chapters), being a group pioneer in the studies of organic waste stabilization (composting) and waste recycling, soil enzymology and bioindicators of soil quality, processes of soil degradation and desertification, as well as in the use of urban wastes as strategy for degraded soil rehabilitation. Pursuant to art. 37 of Law no. 99 of July 23rd, 2009, the Agency’s activities are targeted to research, innovation technology and advanced services in the fields of energy – especially nuclear. The ENEA Faenza Technical Unit on MATerial Technologies (ENEA-UTTMATF) is located in the Faenza Research Laboratories and has around 3500 square metres of laboratories and offices, on two locations. It has a staff of about 30 employees and is involved in R&D activities on new materials and technologies. It focuses mainly on advanced and traditional ceramics, ceramic composites and building materials. The unit activities are financed by the national and European research projects, technological services to SMEs, in cooperation with industrial associations and private companies. The unit works in three main fields: ceramics, technology and engineering. The ultimate purpose is the innovation and technology transfer. Therefore ENEA is strongly committed to the development and engineering of innovative components and to the demonstration of innovative technological processes. The unit also takes part in the European activities concerning the pre-normative research to develop new standards for both advanced and traditional ceramics, quality assurance and certification. ENIA RDI Ltd is a multidisciplinary firm active in research, regional development and innovation. The core competences of ENIA’s partners are in the areas of business development, agricultural sector, ICT, systems design, project management, financing, sustainable development and engineering. ENIA has different typologies of lands available where it is possible to test and validate the project fertilizer. ENIA has carried out studies and business plans in several fields, for local third-party private sector companies. ENIA has been involved in the initiation and drafting of innovative European funded projects in the areas of energy, agrofood and regional development, under several of the EU research calls. ENIA has established strategic relations with universities and innovative SMEs, in Cyprus and across Europe, in order to help in facilitating its long-term objectives and supporting its activities in the early stages. Given Cyprus’ location ENIA gives particular emphasis in networking and extending its network of associates beyond the European borders, with its neighbouring non-EU countries, thus promoting the European neighbourhood policy and integration. Through its participation in European research projects, ENIA is aiming to promote innovation, research and development and enhance the activities of local and regional SMEs, in several high-impact sectors. In order to maximise the effect of the project, Through its participation in innovative European funded projects, ENIA’s vision is to create an environment that will enable local and subsequently regional SME’s to develop new competences and enhance their competitive position, by disseminating research findings and making available innovative technologies and processes as well as competent cross-border partners.